Part of Pulp Literature‘s mission is to showcase work that challenges us and delights us by new and established writers from diverse and underrepresented backgrounds. Pulp Literature author AJ Odasso weaves words as an established queer-identifying poet who occasionally dabbles in well-crafted short-narratives. Odasso is the author of three award-nominated poetry collections (Lost Books and The Dishonesty of Dreams, from Flipped-Eye Publishing; Things Being What They Are, unpublished and shortlisted for the Sexton Prize) as well as a handful of short stories. 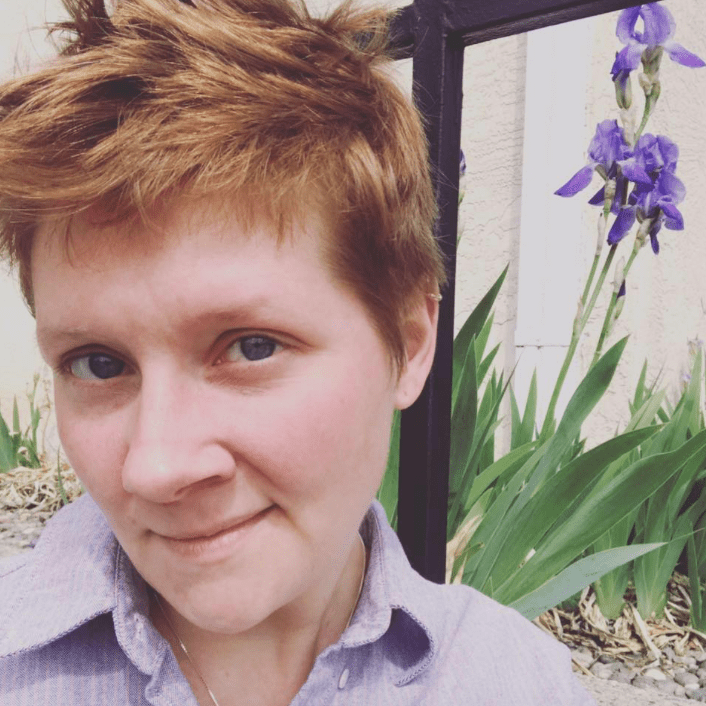 She serves as Senior Poetry Editor at Strange Horizons magazine. You can find her at twitter.com/ajodasso. In spite of the disagreeable circumstances under which we last parted, I hope that this letter finds you well. It will cheer you to know that your father’s health is much improved since you left for Scotland this spring. He delights in your single-minded love of study, and his desire is that you should make as fine a scholar as your mother. But I must caution you, my love, to remember that there are pleasures in this world that do not concern anatomy, chemistry, or engineering. My ever-troublesome charge — Trevor is growing! — has found an expedient use for your old laboratory goggles. Your brother has taken to packing them for our jaunts to Horseshoe Bay. He has mastered the art of holding his breath underwater, during which time he is content, from behind glass through which you once squinted at dissections, to observe parrot fish the size of soup tureens. Regarding our falling-out, I am not inclined to continue in such unseemly avoidance — for you have said that what you admire most is my forthrightness, and I hope I have not been foolish in treasuring your honesty. Do not take your wealth for granted: had my mother been rich, she would have wished for me an education as fine as yours. I understand that the completion of your degree is essential; I want nothing more than for you to perfect your skill in the sciences. All I ask in return is that you do not write off my fancies, for poetry and politics are equal to the task of improving humankind. Furthermore, I remain steadfast in my opinion that you have done poorly by Trevor. His musical talent continues to flourish, and although you set little stock by the performance he had so carefully prepared for your departure, he believes firmly that you are the cleverest, kindest creature ever to walk the earth. Write to him, Tess. He misses you. For my part, I pass endless days in pursuit of Trevor and in seeing to your father’s welfare. Although he is more sanguine than you will remember, his memory declines. For each time that he recognizes me, he supposes me to be your mother at least twice. I cannot persist in this sad affair without reassurance of your support — surely you may find the time to write more than once a month, so that my spirits might be lifted! I can take only so much solace in Trevor’s compositions and in discovering which of your father’s favourite strays has lately hidden her kittens amidst the banana trees and knee-high weeds in the garden. Artemis has dropped her first litter. This corner of the world is monotonous, my darling. Be brilliant, and be well. This correspondence may reach your shores by sea rather than by air, much to my annoyance. The pilots’ strike cannot continue indefinitely, so why not apply your political acumen to that when next you submit a column to The Trans-Atlantic Weekly? Several of the faculty here are ardent followers of your rambling yet sagacious wit. Perhaps it will earn you a scholarship. Please do not think that I have not taken to heart the contents of your letter, but I must report a strange occurrence that has lately beset my corner of the world. Lansdowne, my tutor, has been ardently in favour of my chosen discipline — that is, the repair and replacement of organs and other such vital tissue through methods of hermetically sealed replacements, etc. I will not attempt another description of these devices’ components, nor of the fusion by which they run in perpetuity. You, lively and insightful, must populate this world with wonders, whereas I, eternally brooding, must endeavour to unlock the causes of its unhappiest misfortunes and to repair them if I am able. right now in Issue 17…. … and save $2 when you pre-order Issue 18 featuring the conclusion of the story, due out in April.